THANK YOU!!!!! Job well done!! Already neighbors are coming over and asking who our landscape contractor was. I want you to know from my first meeting with Pete and the first contact I had with Tami sending me a typewritten clean copy of the contract that this experience with Arizona Living Landscape & Design has been a 10 out of 10. My recent experience with Arizona Living Landscape & Design rates a score of 10 out of 10. I met with owner Pete to give him a rough design of what we were looking for in both our back and front yard. Pete was very patient with us and submitted several ideas for the complete job, calling it work in progress not the final result. Pete prepared a contract at our first meeting fine tuning it to include PVC for the sprinkler system vs, poly and customizing rock/granite and plants/trees to help this project fit into our budget. Pete’s wife / admin immediately took Pete’s rough draft contract and emailed me a typed final version to eliminate any confusion. Tami was very helpful in helping us pick plants/trees as this was not our expertise, including locations. THE CREW, Adam the Project Manager and Ryan the Foreman on the job kept us in the loop every step of the way to insure we would be happy with the final product. The rest of the CREW was very respectful and courteous. Even if the landscape was to the owner Pete’s design Adam & Ryan would ask once laid out if that was what we anticipated. Stating that “sometimes things look different on paper then the actual finished product”. That gave us a chance to move things around, which we did before pavers were cemented in, bushes/trees were planted and artificial turf was laid. The back & front yards are truly a paradise and turned out even better than we anticipated. 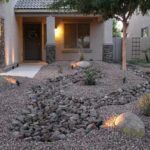 We interviewed 8 landscape companies and can save others from going through this process by going directly to Arizona Living Landscape and Design!! They cut to the chase and do exactly what is requested and exceed expected. Project was completed a day early and clean up was pristine leaving the street and sidewalk cleaner than when they started. After moving into our newly built home and living with a dirt backyard for months, our family was beyond excited to finally be getting a yard. Our expectations were high, but Pete and his team delivered above and beyond. He was actively involved throughout the process; checking in on the progress and staying in communication with us. He listened carefully to our ideas while suggesting his own, creating a combination of both and ultimately a superb looking backyard. The crew did an amazing job implementing these ideas and took pride in their work as if it was their own yard. Pete and his crew were a pleasure to work with and we couldn’t be happier with the result. 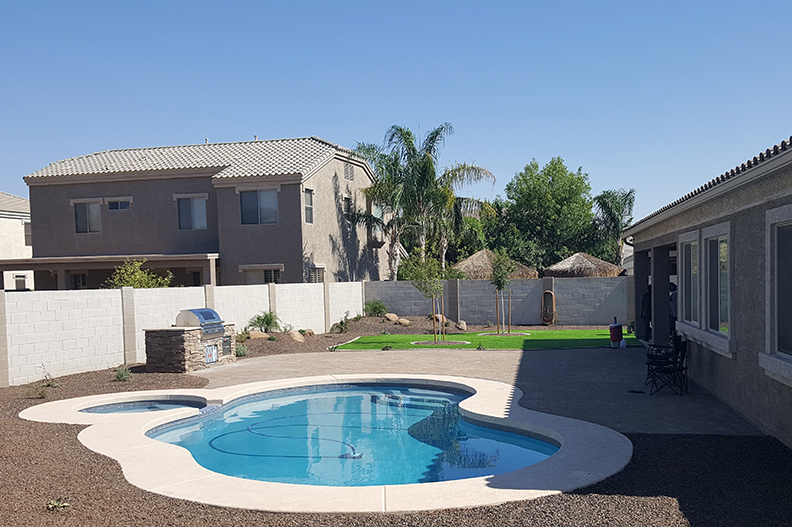 We would definitely recommend Arizona Living Landscape and Design to others and will be using them again for any of our future landscaping needs. We’re really happy with the yard and enjoyed working with Pete, Rob, and their whole crew. After building a house for over a year with contractors who we always felt ‘taken’ by, it was so nice to just do a project with people who did things right and who we genuinely liked. 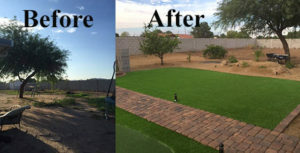 If you are planning on doing anything to improve the look of your landscaping, do yourself a favor and let Arizona Living Landscape & Design do the work. Pete Cascio did a wonderful job designing & implementing a new side and back yard for us. His team did what they said they were going to do when the said they would do it and did it well. Thanks Pete, to you and your crews. I had my new house built about a year ago and still needed to get the backyard landscaping done. 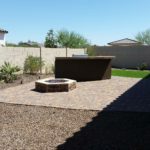 I hired Arizona Living Landscape & Design to design my backyard. Pete, the owner did a wonderful job helping me come up with the landscape design and a great job managing the whole project. His crew did an amazing job through out and cleaned up after the job was done. My calls and texts were always immediately returned. Pete was kind enough to give me two additional flower shrub because they deliver the wrong color shrubs. 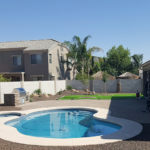 I talked to four other landscaping contractors and decided to go with Arizona Living Landscape & Design because I felt Pete knew what he was talking about, gave me some great advice, he was honest and the price was reasonable. I would highly recommend them to anyone. Arizona Living Landscape and Design just completed design and landscape project for my yard. I received three bids. Landscape Arizona was the low bid and were able to begin the job within very tight timelines. I was very satisfied with the work and would recommend them to anyone. They completed the job ahead of schedule and within budget–in fact they included a few extra at no cost. This job was complex in that they had to go through the house to access the backyard. The work crew was very careful to not to leave a mess in the house or driveway. They picked very good plant material, top quality boulders and rock. Again, I would highly recommend Pete and his crew. They were cordial, reasonably priced and very professional. I would recommend this company to ANYONE! Pete came to our home on a Saturday and spent an hour or two with us going over the design of our backyard oasis, gave us great suggestions and ideas on what would give the look we were trying to achieve. Once we decided to move forward with the landscaping, his crew showed up at our home first thing in the morning, the day after Christmas. His crew was amazing. They worked fast and efficient. Our yard was done within a few days and what a great job they did! When they were finishing up, they noticed a small leak in the drip system. They dug up the drip, found the issue and fixed it. You could not even tell that they had to dig up the rock and grass, the work they do is very impressive. Once our oasis was complete, to see the yard lit up at night with all of the lights on the trees is truly breath taking. This company has one quality that I think is the most important, professional. Being professional to your clients is a very important quality in a successful business and Arizona Living has it. More importantly when our oasis was complete, it looked just as we visioned when talking to Pete.We plan to use this company again to redesign our front yard as well..Great talent, fast, efficient, knowledgeable, professional, friendly. 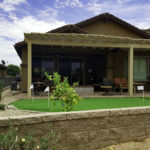 Arizona Living Landscape is a great company to use for your landscaping needs. We called them for a quote to install a backyard, on the new home that we purchased. Pete came out and listened to our basic ideas that we were looking for. His vision and creativity that he showed us,when he told us his plan, was second to none and it really pulled together a backyard that would fit our needs and wants. He really worked hard to stay within a budget that we could afford and they were on time and completed the job in the time that he anticipated. When it was finished, Pete stopped out to give us an overview of how to take care of the yard and the plants that were installed, and even suggested ways to properly care for our front that was done by a different contractor. I would be surprised if you could find a company who could provide the excellent results we saw but also with the personal touch that Pete and Tami provided us. Thanks again Arizona Living Landscape! Our backyard is perfect! I just wanted to let you know I got a letter from the Violation Coordinator regarding our property. I was thrilled that they recognized our property for frequent tours of it looking so good. I was so happy. Thank you for looking after our property so well. It was a pleasure working with Pete and his crew. Pete took my extremely vague idea of what I wanted my back yard to look like and came up with some great ideas. He is cost conscious and offered different ways of doing things so I had a choice about how much to spend and exactly what I wanted done. Pete is easy to get along with and quite flexible. His crew is punctual and the guys get to work the minute they show up. They are also easy to get along with and it was obvious they take pride in their work. If you want the best landscaping experience at the best price, hire Arizona Living Landscape! My yard is beautiful! I can’t tell you how thrilled I am with it. And your guys are great.professional, talented, pleasant to have around, and easy to communicate with. Bruce and Sally came over and we marveled at the piece work in the pavers. Also, thank you so much for the lights and the extra help. Just wanted to thank you and your team again for the wonderful job you did for us. We started with our ideas of what we wanted and you were able to suggest changes that improved the overall layout. You were able to bring the ideas alive and made our yard the oasis we knew it could be. I also wanted to commend your team for their attention to detail and how easy it was to work with them. They were professional and accommodating to our needs. I would recommend you to all of my friends. I just wanted to thank you again for the wonderful job you did on my landscaping! I got a rare HOA letter complimenting me on my yard and it’s maintenance. And, without the landscaping, and the help with the watering system, it wouldn’t be that way…So, thank you again. In my opinion you are quite fortunate to have such a caring and reliable crew working for you. The three men that came today possessed excellent diligence in their work ethic and they wasted no time in evaluating the project and completing it in a timely manner. If you wish you may pass this comment on to them. Arizona Living Landscape was awesome to work with and we would use them again without a doubt!! Thanks to Pete and his creative suggestions, we have the backyard that we’ve always dreamed of. Arizona Living followed through on every commitment they made in a timely manner and left us with HUGE smiles!! Love the plants, love the lights, love the flagstone! Thanks for making our resort-like backyard a reality!! 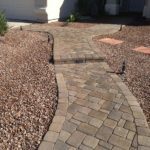 Az Landscaping exceeded our expectations in every aspect. Pete is a pleaure to work with, his crew an impressive sight to watch. We truly believe we received much more then we paid for. Our backyard is now our own little tropical paradise. It’s much nicer then we anticipated and far beyond what we imagined! The work was one quickly and without disruption to our schedules. We strongly advise using professional landscapers and we HIGHLY recommend using AZ. Living Landscaping. We couldn’t have done ourselves for less and it certainly wouldn’t have come close to being as beautiful as it is. Our home value has definately increased and so has our enjoyment. We are very HAPPY and SATISFIED customers. The yard looks great, you all do a great job! Just wanted to say THANK YOU! Your crew is awesome, fast, and extremely professional. I would and will recommend them to anyone who needs your services. Thanks again! Thanks so much for the wonderful job that you and your crew did to our backyard. For years we have had a”hodge-podge” look in our backyard. We had concrete, cool decking and lots of gravel no one could walk on. We have had quoted from landscape professionals, contractors and the local “put the sign beside the freeway” handyman. I will tell you, the quotes were unreasonable and unrealistic and all over the spectrum. We had one local landscape company say that they do acrylic coatings. A woman that owned the company came out to measure and told me she would have the bid figures in a few days. After two weeks from not hearing from them and me calling, they left me a voice mail declining to do the job. I had over 1900 square feet to do. You came out the same day, bid it within a few hours, started work in a couple of days and got it done within a week. No one in the valley has the knowledge you posses. I am glad we chose you. We have had numerous compliments about the look that our backyard has now. Amazing! I will gladly endorse you anytime. If you have any customers that would like to call me, I will gladly give them my honest opinion. You are the best! You and your staff worked very hard to make sure I was 100% satisfied. I am honored to write this letter in your behalf.